Today is election day in Brooklyn for Congressional and other local elections. It’s one thing for Ed Towns to have endorsed Hillary in the primary when his district was one of three in the state to go for Obama. After all, most NY state politicians did the same and Hill won by a landslide. It’s quite another however for Towns to go as far as to use a picture of Barack Obama in his election eve mailer with the heading: “Ed Towns and Barack Obama, the team we need in Washington”. Towns is a 13-term incumbent who failed to get the endorsement of CBID, the progressive political club par excellence in Brooklyn. To someone who does not follow politics, the flyer may even look like Towns received Barack’s endorsement. 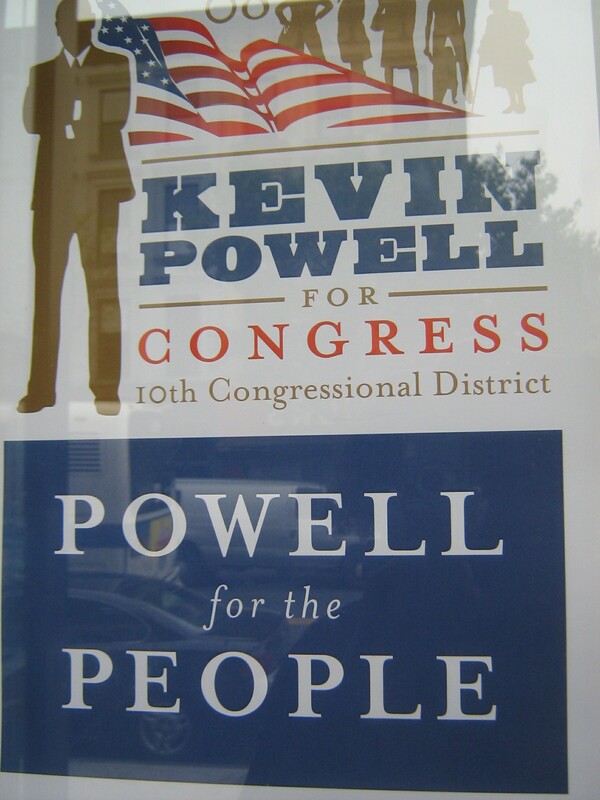 Meanwhile Towns’ insurgent opponent Kevin Powell endorsed Obama very early in the primary. Shame on Ed Towns for having so little political backbone! I think our district deserves a change whether now or in the future. Will we have a new Congressman? Myrtle Avenue is in the news again as Kevin Powell announced his candidacy for Ed Towns’s Congressional seat at an event at the Five Spot last Sunday. Ed Towns, our current Congressman, has been in office representing our Congressional District for about 26 years! Many believe that the odds are not in Kevin Powell’s favor but Kevin hopes to make waves by energizing the 98% of the district’s voter base who *don’t* vote in the district’s congressional elections. Apart from age and generation, one big distinguishing factor between the two politicians is that Ed Towns endorsed Hillary Clinton for President while Kevin Powell helped Brooklyn for Barack win our district for Obama in the New York Primary. The event was charming in its cosmopolitanism as Kevin demonstrated his ability to speak several of the languages spoken in C.D. 10 (including Spanish and Haitian Creole) and expressed a strong desire to support appropriate policies regarding countries of interest to the district.